Long time no blog. I hope you can forgive me. I did not intend to take such a long break but alas, here we are. I have been feeling fine physically but had one follow-up test to get out of the way before I could fully exhale and now that I have, I am ready to get my groove back. Firstly, I love blogging. I always have and always will. I love including drinks and food and life on my little slice of internet, in addition to all the usual thrifting biz. But I don’t think I’m meant to be a professional blogger. I have tremendous respect for professional bloggers like my friend Karlynn. My recent efforts – paltry by comparison – gave me a glimpse into how hard she works and I know she deserves every bit of success she has earned and then some. That’s just not the way *I* want to hustle. Social media is a tricky beast. Maybe it’s just me (it’s not) but you feel like you have to do things a certain way in order to count. This past month and all y’all’s support during my trial showed me that simply isn’t true; I count. What I write here counts. Even if only one person reads it, it counts. Even if no one reads it but it was meaningful to me, it counts. So, I’m going to try something different again. I’m going to keep on with #thrifteatdrinkrepeat but at a more relaxed frequency and I’m going to replace the ads with Patreon. You may have seen Patreon on other blogs or websites. It’s a way to subscribe to online content you enjoy and support your preferred creatives. Let me be clear, you don’t *have* to be a patron to be here. Everyone is welcome to read and enjoy! 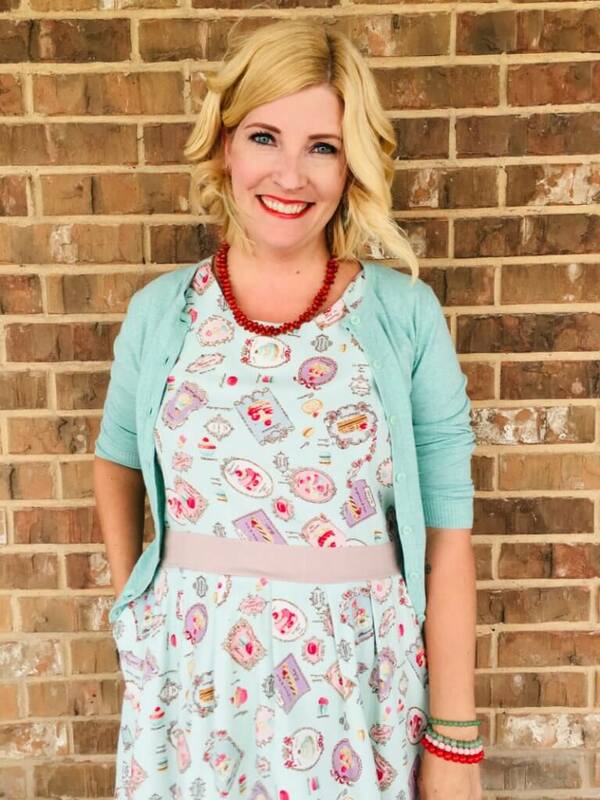 Where else can you find a 44-year-old woman in a $2 cupcake print dress???! Please read, like, share, and comment – I love comments because it allows me to interact with y’all. It’s not about algorithms or page views for me; it’s about connection. And if you feel so moved, check out my Patreon page. I suggest we all set aside a small budget for online content much like we used to for magazines and CDs but instead, use our budgets to support blogs, music, podcasts, and other creative people who are pouring hours into something just for the love of it. Don’t feel guilty if you do not become a patron of every blog you read! If we all choose a few, it will even out. We need art, we need creative outlets and creative media that is not driven by ads or algorithms or SEO. From the smallest niche podcast to viral posts to consistent quality productions – we need it all, there’s room for us all. Phew! That was a long firstly! Secondly, I need to change things up because I’m pursuing another project that taps into my other great passion which is serving children and families . To that end, I am in process of setting up a consulting service that will allow me to use my skills and experience that are not restricted for use by occupational therapists (since I can’t get licensed in Texas). I have been sorely missing work – after all, I have been involved in this type of work in some capacity since 1993!!! This past year without it has challenged my identity, and since no other doors are opening, I’m reaching for the handle myself. Up until this past year, my two passions have existed concurrently and I believe they can again. 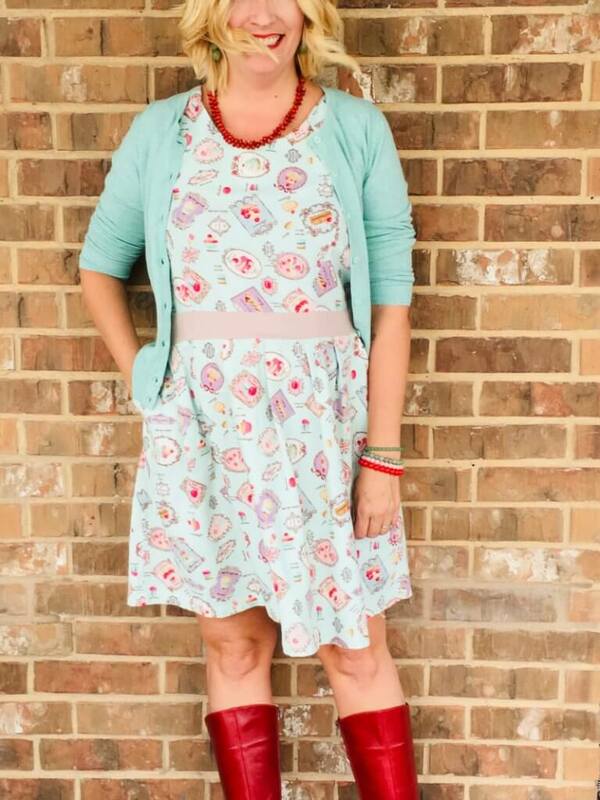 If poppy red and mint green can coexist again, so can my two passions! 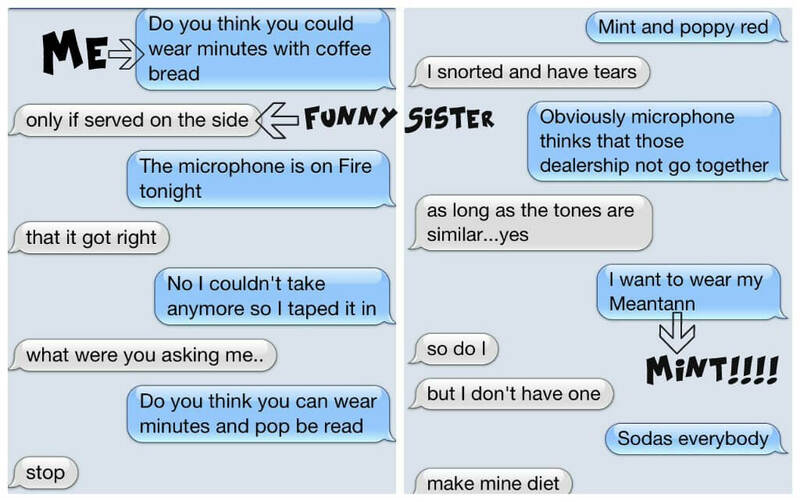 I still cry laughing when I recall this text exchange with my sister when I was TRYING to ask if I could wear mint and poppy red together! And she’s right. That’s not a spelling error. Janelle was trying to tell me that somewhere along the way, I dropped my inner awesome, and it’s about darn time I picked it up again. Reading your posts is like chatting with an old friend — comfortable, non-judgmental, fun. BTW, those poppy red boots are EVERYTHING! What a high compliment! It honestly means so much to me, makes me teary! Thank you! I aim to keep up the fun and spirited posts, get back to my roots, over the next little bit and stop worrying about stats! I *almost* got rid of those boots when I moved to Houston. I think I wore them last year once but as I get more acclimatized, I’m sure I’ll wear them more! They were perfect with that dress on what turned out to be a chilly outdoor event in Houston!! THANKS again!! Thanks for your honesty and sense of humour. 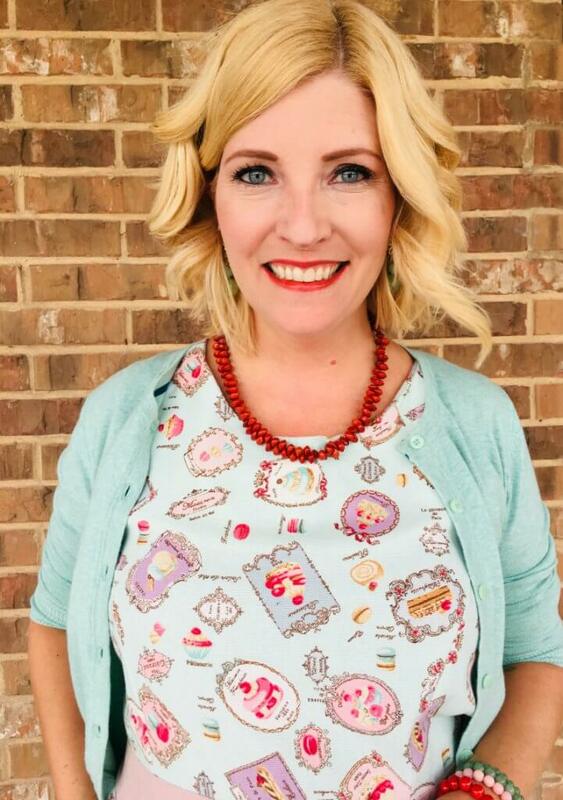 Ever since finding your blog, I have felt a connection to you and enjoy your writing and sharing and thrifting experiences. I am overjoyed to hear that God has inspired a way for you to use your talents and giftings to bless the people who need your help where you are. I know you will help many and find joy and blessings in serving others. I am so happy for you! 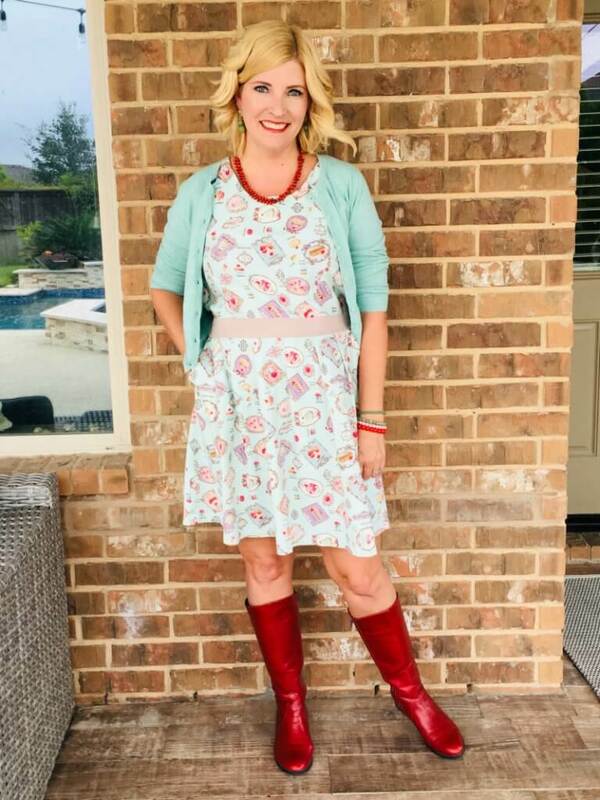 Love the cupcake dress with those “banging” red boots. So totally Nicole. I am so glad to hear that you have decided to start your own consulting service. Knowing you the way I do, you have such a love for people, children, well, families in general, and I know it will flourish. We love you and are anticipating a praise report that you will be inundated with requests for your services. hee hee Those boots definitely show some Texas sass! Thank you always for your support and encouragement. I trust that the path will be clear and if this door doesn’t open, I’m moving in with y’all. HA! It’s so great you have some direction now. It’s awesome you decided to take things into your own hands. Now can I ask your advice? How did you manage that week you were waiting for your results? I am going through a health issue right now and I can burst into tears so fast just thinking of my children and husband. Thanks! I am so sorry to hear it! 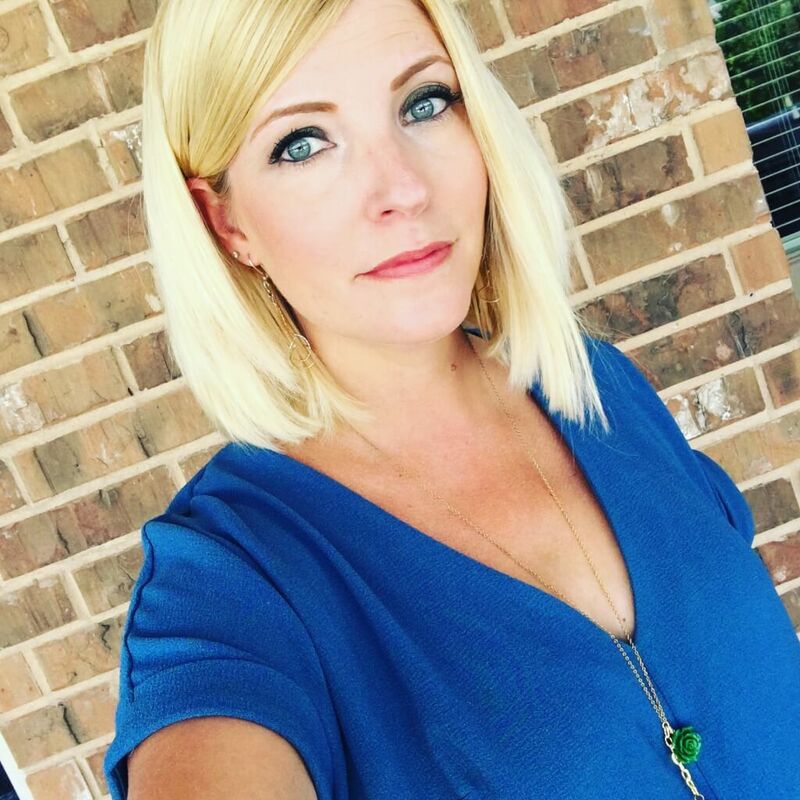 I actually blogged about that as a contributor for Houston Moms Blog: https://houston.citymomsblog.com/i-survived-a-cancer-scare-this-is-what-i-learned/. Hopefully that is helpful. The other thing, in case it’s not clear, is that I did not expect to take so long to get back to usual. I had no idea it would slam me down for a solid month despite the good outcome. I have no idea if that’s just me (I doubt it) but it would have helped me to feel better about the situation to know that it’s “normal.” I was pretty emotional too – just be gentle with yourself. I will pray for you! hugs! Thanks so much for your reply! I also read your blog post as well. Nothing is more important than health, especially with a family and young children. I appreciate your prayers.